BTS was set up in 2000 and is now one of the UK’s leading supplier of Fire Alarm, Intruder alarm, CCTV, Access, Fire Extinguishers, Gas Suppression, Air sampling and associated services. We are a specialist fire alarm company and we hold the NSI Gold, BAFE and UKAS certification for Design, Installation, Commissioning and Maintenance. We are a “GENT” Elite integrator and have been for over 15 years, but we also install and maintain most types of Fire alarm systems, as well as Gas suppression systems and Air sampling systems. 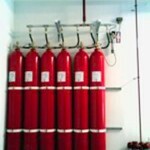 BTS are a Fire alarm systems installation and service provider, we also offer a full turn key maintenance support package for all types of premises, commercial, office blocks, factories, warehouses etc. We offer maintenance contracts that will encompass your currently installed fire alarm, Gas suppression, air sampling, sprinklers, smoke dampers, dry risers, extinguishers and emergency lighting systems. We provide all building managers, maintenance site managers peace of mind by putting in place your processes and procedures to monitor the weekly testing in line with legal requirements. You also have access through a web portal from wherever you are located to the BTS reports on your most recent service visits with e-mail backup on any outstanding issues or requirements, this will also hold all your previous site maintenance history which you can access at anytime. Documents can be printed direct from your Web portal if required. BTS service and install all types and sizes of systems, from small commercial properties to major industrial, hospital, MOD and local Authority locations.